X men Days Of Future Past, the follow up to prequel X Men First Class is set to feature the return of many of the cast of original X men Trilogy. 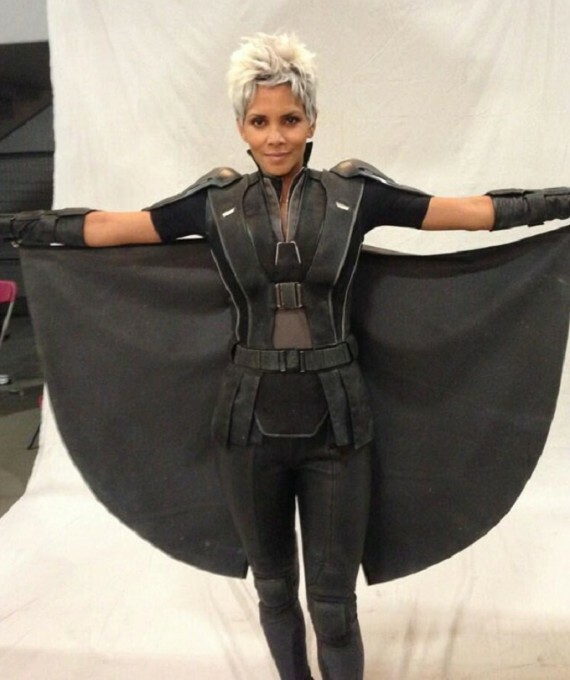 Director Bryan Singer who himself returns to the franchise has tweed this first look at Halle Berry back in costume as mutant hero Storm. Singer had previously promised fans that the new film would not feature a return of the much criticised generic black leather jumpsuits the X-Men wore in the 2000 and 2003 films. The new picture reveals that ture to his word, the X-Men will at least have more elaborately personalized faux leather attire this time….